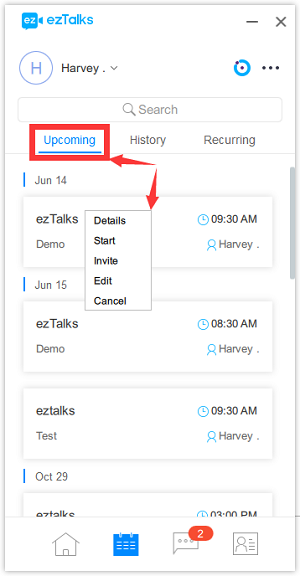 ezTalks allows you to start an instant meeting and schedule a future meeting from the user center page or from the ezTalks apps. 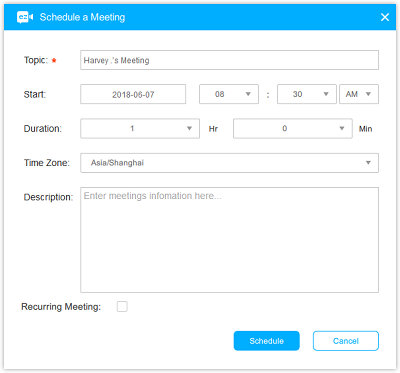 This article is about how to schedule a meeting from the desktop app. 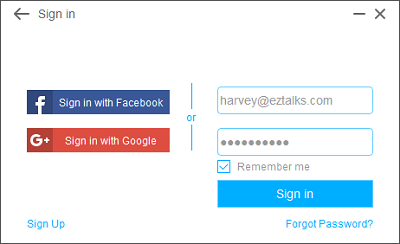 Learn how to schedule a meeting from the web user center or mobile app. 4. 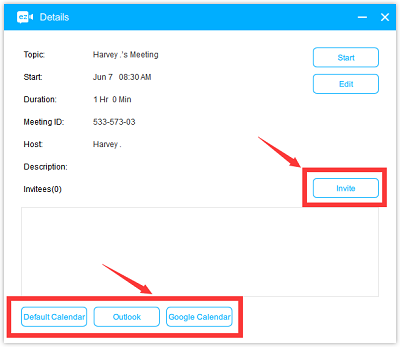 Once you schedule the meeting, you can add it to your calendar and then invite your attendees. 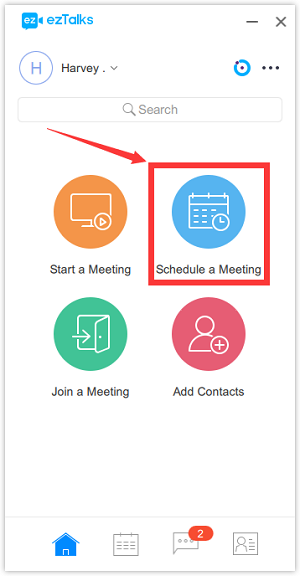 How to sync the schedule meetings to your calendar?